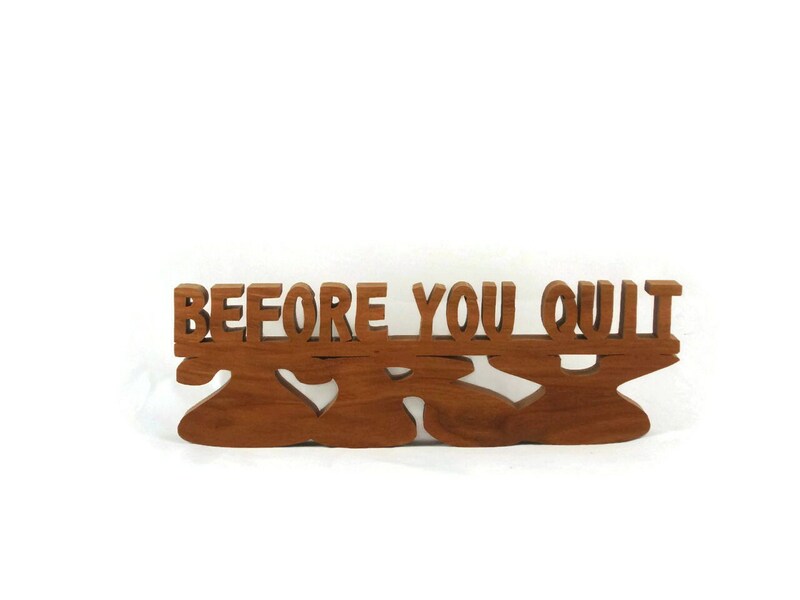 Powerful statement with this desk or shelf sitter, with the phrase "Before You Quit Try.This could even be hung on the wall! 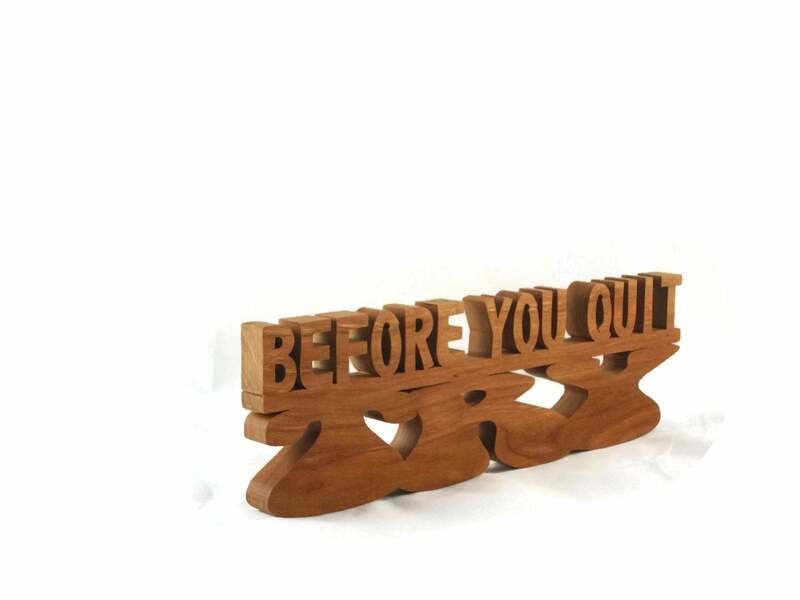 Handmade from Cherry wood this word art desk or shelf sitter display features the "before you quit" at the top of the large word "TRY". 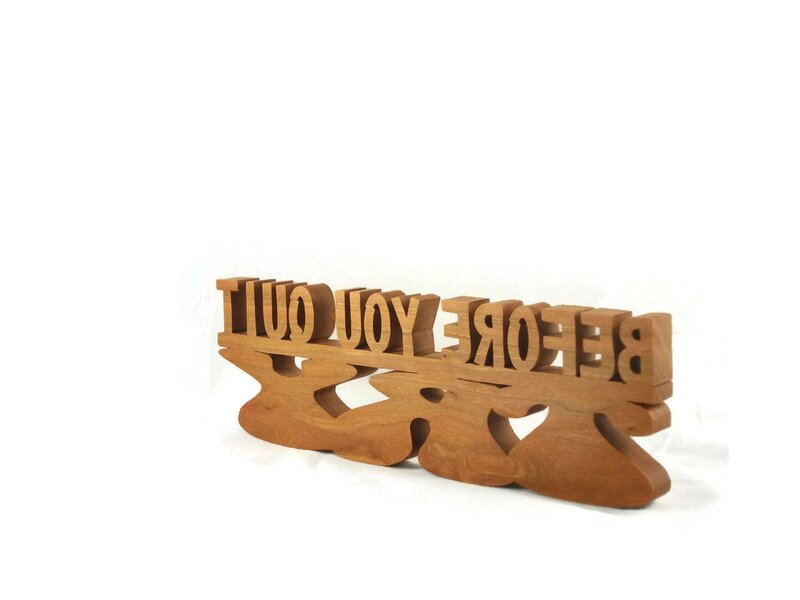 This beautiful home decor or office desk display was hand cut using a scroll saw. 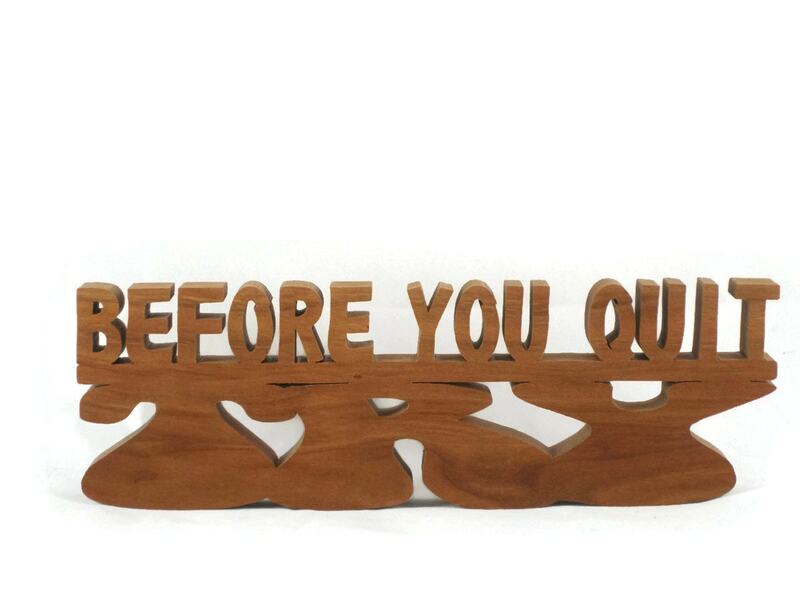 Cut out from 3/4 inch thick Cherry wood. 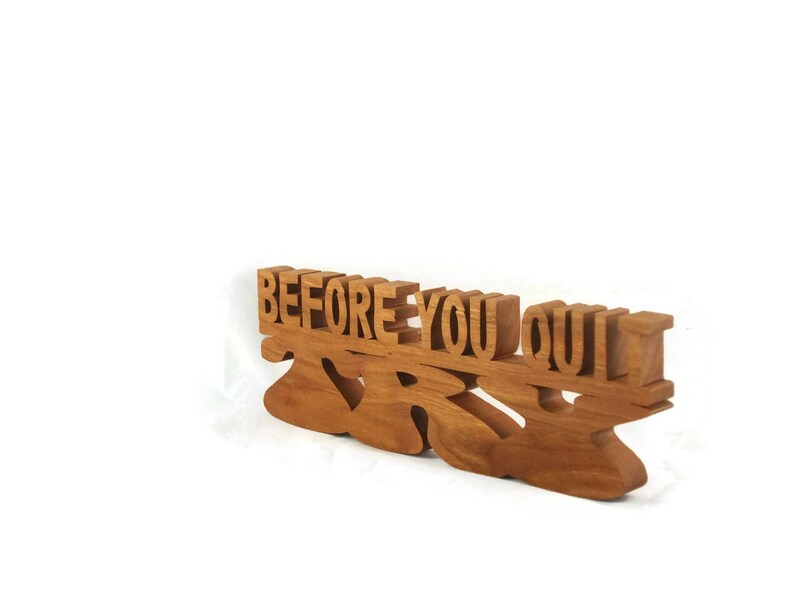 This was finished with a natural color Danish oil to bring out the natural beauty of the wood grain as well as to protect its natural beauty for many years of enjoyment.